Comedian Al Murray has underlined the importance of Farm Safety Week (24-28 July 2017) by describing how he witnessed a serious machinery accident as a 12-year-old. The Farm Safety Foundation, Farm Safety Partnership, the HSE, Health & Safety Executive for Northern Ireland and Health & Safety Authority, Ireland have once-again joined forces to underline the need for a safer sector. And Al, known to millions as ‘Pub Landlord’ has added his voice. Read his story below. From quad bike accidents to animal attacks, farming still kills and injures more people than any other industry in the UK and Ireland. To mark the start of the fifth Farm Safety Week, the HSE has announced its latest annual fatal injuries in agriculture report for Great Britain 2016/2017. Last year, 30 people were killed on farm, up one from the previous year. While the rate of worker deaths shows some sign of improving, an annual average of 29 worker deaths, compounded by two or three members of the public killed each year, is a record the industry must improve. Despite over half of all fatal injuries occurring with older farmers over the age of 65, the fact remains that farm workers of any age run the risk of injury or death. “Many farmers think ‘farm safety last’ rather than ‘farm safety first’ but most of these accidents are avoidable,” said Stephanie Berkeley from the Farm Safety Foundation, the charity behind Farm Safety Week. As his alter ego, the nation's critically acclaimed bar-based-braveheart, The Pub Landlord, Al Murray has always been full of fantastic anecdotes and he knows how to tell a story however he has only now revealed his role in saving a young farmworker’s life when he was 12. For years, Al did not admit the role he played when 18-year-old farm worker Chris Brown got his right arm trapped in a baler on a farm in Walsham le Willows, near Bury St Edmunds, but has agreed to tell his story to support the fifth annual Farm Safety Week. “Not many people realise that farming is actually the most dangerous occupation in the UK and we should be talking about it more,” he said. Al had been holidaying on his cousin’s farm during harvest time and had spent the day playing in the fields while his father, helped out with the combining. As Al was cycling back to the farmhouse, he heard cries for help coming from near one of the many machines in the field. He approached the cries and spied a young farm worker, trapped in a baler, in pain and losing a lot of blood. In a scene reminiscent of one of his alter egos tall tales the 12-year-old Al tried to pull the trapped teen out of the machine by his boots. Al managed to stop the machine then raise the alarm and brought his father who dismantled the machine to dislodge the trapped arm and tourniquet the injury before the ambulance arrived to take Chris to hospital. Thankfully this tale has a happy ending and the young farmworker did not lose his arm however this does highlight the constant dangers of working with machinery and the importance of following the SAFE STOP procedure. Fast forward nearly 40 years and the same accidents are still happening and claiming the lives and limbs of too many of our nation’s farm workers. Today marks the start of the fifth annual Farm Safety Week, an initiative launched in 2013 aiming to reduce the number of accidents which continue to give farming the poorest record of any occupation in the UK & Ireland. 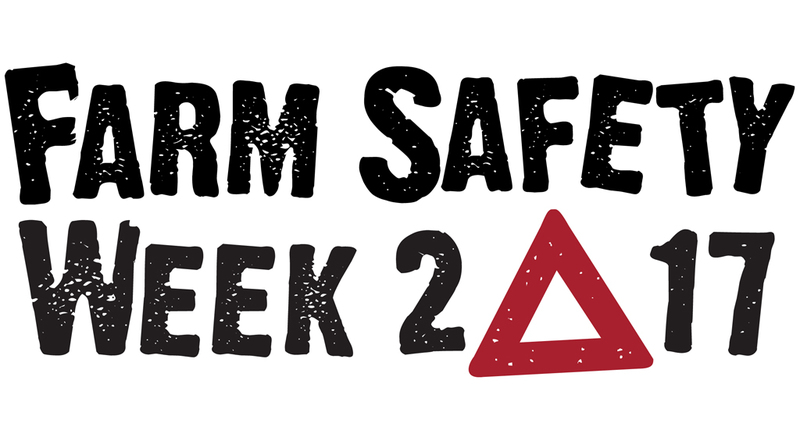 This year’s Farm Safety Week is being supported by a greater number of organisations than ever including the Farm Safety Foundation, Farm Safety Partnerships, the Health & Safety Executive, Health & Safety Executive for Northern Ireland and the Health & Safety Authority, Ireland. “Agriculture is a critical part of our economy,” said Rick Brunt of the HSE.